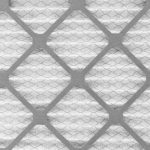 Home » Should I Repair or Replace My Air Conditioning Unit? When it’s 32℃ outside and 30℃ inside, you know it’s time to check your air conditioning unit. No one wants to live in a sweltering home, and your team at work will not function well in extreme heat — in fact, in some cases it isn’t permitted by law. Air conditioners that are 12 years or older are going to use a lot more energy to operate than the new models. Newer, energy-efficient models use substantially less energy (20-40% less energy than older models) and this will result in lower bills for your home or business. A new air conditioner can save you 20-40% on your monthly bills. Air conditioners that require regular repairs may have reached their end of life. The cost of having a repairperson visit your location and spend time repairing your unit can really add up. Repairing and replacing parts in your air conditioner can cost hundreds of dollars, every time a repair is needed. Air conditioners that require constant temperature adjusting to keep your home or business cool are not efficient and are no longer operating effectively. Constantly adjusting your thermostat is annoying and if the unit is turning and off frequently then it is no longer efficient. Prospective homebuyers want to buy a home in good working order, and if they see that your air conditioning unit or entire central air system is old and in need of an upgrade, it may result in their offering a lower-than-asking price for your home. Installing a new, energy-efficient air conditioning unit or central air system in your home will show your potential buyers that you have taken care of and invested in your home — and it won’t be a reason to offer less than your asking price. Contact the team at Therm-All today to conduct an inspection of your air conditioning unit and advise you about whether you should replace or repair it. 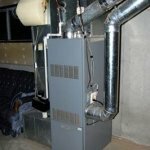 All the tips are very helpful to figure out when to replace or repair my existing air conditioning unit or furnace. I’ll definitely consider the mentioned points in the post. Thanks. My AC hasn’t been working for a while, and I’m considering just upgrading to something new rather than trying to get it fixed. As you said, older machines aren’t as efficient as the newer models, and with the way mine was acting, it wasn’t even up to the old model standards, anyway. In the end, I agree that trying to fix it would probably cost more than just replacing the thing, and it’s nice that I’d save money on energy afterward. I really appreciate this article for reminding us on some points in dealing with air conditioning problems. First off, I wanted to say that it’s important that we choose a technician that is experienced and certified. Thanks for sharing this article. I like your blog how to refrigeration maintenance to new air condition can save you 20-40% on your monthly bills. Air conditioners that require regular repairs may have reached their end of life. The cost of having a repair person visit your location and spend time repairing your unit can really add up.